Kuwait pledges aid for Congo during Int'l conf. GENEVA-- The State of Kuwait has pledged humanitarian aid for crises-stricken Democratic Republic of Congo (DRC). 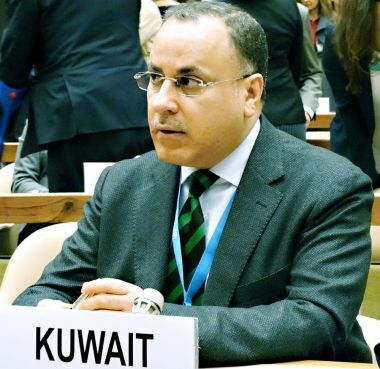 Kuwait is closely monitoring humanitarian conditions in the DRC, said Ambassador Jamal Al-Ghunaim, the State of Kuwait Permanent Representative to the United Nations and International Organizations in Geneva, on Friday. The State of Kuwait is keen on backing humanitarian action and international cooperation for Congo, said the ambassador in remarks to Kuwait News Agency (KUNA). Ambassador Al-Ghunaim is heading the State of Kuwait delegation, partaking in the "conference for supporting the humanitarian response plan for the Republic of Congo," held here on Friday. He lauded humanitarian role by UN agencies for helping the Congolese, called for finding a fundamental solution to the crisis in the country and praised confidence restoration measures, undertaken by the Congolese Government. According to UN estimates, the international plan for relieving the African nation requires USD 504 million to secure needs for more than 685,000 refugees and relocated Congolese. The figure is expected to swell to 807,000 by the end of the year, making Congo, according to the UN, the number-one African country suffering from such a humanitarian crisis. The pledging conference is co-hosted by the European Commission, the United Nations and the Dutch government. Congo has been swamped with troubles and ethnic conflicts since gaining independence from Belgium in 1960.